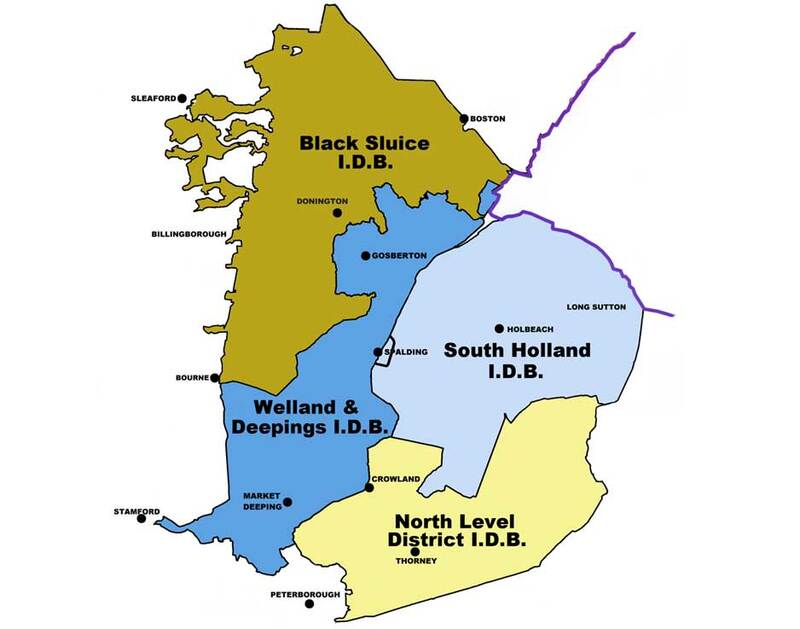 The Welland and Deepings Internal Drainage Board was formed in 1973 by the amalgamation of four smaller Boards. The Board is an autonomous public body under the direct control of the Board members. The number of members is set out in the constitution of the Board. The Board has 12 elected members and 13 members appointed by the local authorities within our area i.e. Boston Borough Council, Peterborough City Council, South Holland District Council and South Kesteven District Council. An election is held every three years. The Board’s area covers approximately 32,400 hectares from Sutterton (near Boston) in the north down to Werrington (near Peterborough) in the south. The Board maintains some 660 km of surface water drains and sewers and has 14 pumping stations and 3 tidal sluices. The Board also manages over 70 water level management structures. The Board’s offices are in Spalding and the depot is on the A151 Pode Hole, opposite the main pumping station. The Board owns the Pinchbeck Engine Museum which is situated off the A16 at Pinchbeck. For opening hours please see the ‘Museum’ tab on the information bar above. The museum is housed in the former pumping station building and provides a wealth of information on drainage. Visitors will be given a demonstration as to how the Beam engine worked. The Welland and Deepings drainage district covers an area of 32,400 hectares, from the Wash at the north boundary to the outskirts of Peterborough in the south.